Manny Pacquiao and Adrien Broner hold their final presser before the punches start flying on Saturday night. Today, starting at 3:30 p.m. 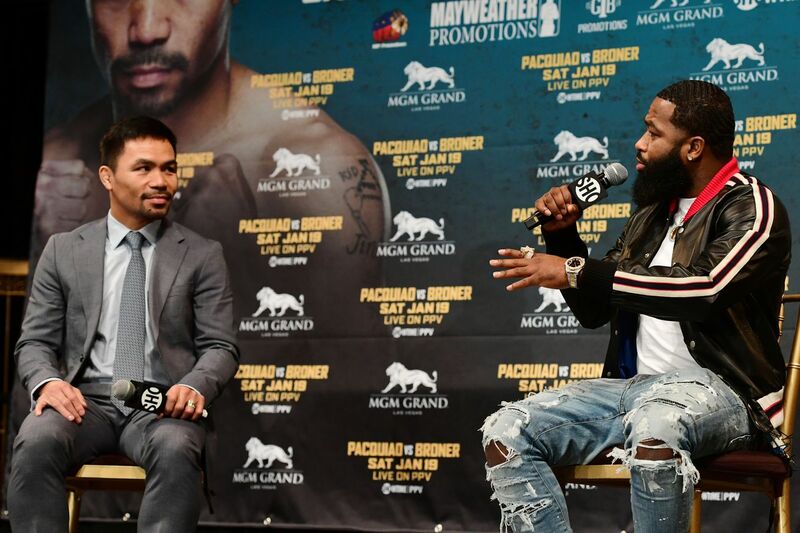 ET, Showtime Sports will be live streaming the final press conference for Manny Pacquiao vs. Adrien Broner, which can be watched right here on BLH! Fight week is wrapping up and aside from the official weigh-in, this will be the last promotional push before the two square off in a Showtime PPV. Pacquiao (60-7-2, 39 KOs) enters this fight coming off a knockout win over Lucas Matthysse, and is said to have a renewed vigor. Even at age 40 Pacquiao has been displaying tremendous speed and power in training camp, and Pacquiao seems to be partially motivated by a chance to earn a rematch with Floyd Mayweather. Whether or not that ever happens is still up in the air, but Pacquiao will certainly need a win here to make that fight viable. Meanwhile Broner (33-3-1, 24 KOs) comes into this fight following a draw with Jessie Vargas early last year. Broner has talked a lot about being more focused and mature than ever, but all the same distractions, including legal issues, are just as prominent now as they’ve ever been. Whether or not that will play a role in the outcome of this fight remains to be seen, but Broner is at least saying that he’s got everything under control and that he’s ready for a marquee win. Check out what the fighters will have to say for themselves during today’s final presser.